For over 20 years I have been flying customers, friends and family to Anan Creek to view the bears that congregate there to eat salmon in preparation for their winter snooze. They had a great time - saw and photographed bears, salmon, seals, ravins and eagles in their natural habitat and most still haven’t stopped talking about their experience at Anan Creek. Please Note: Anan has become a permitted site. This means that everyone going to Anan must have a permit and only 64 people per day will be allowed to visit the site. These permits go fast, so don’t procrastinate, as soon as you’ve decided to go, give us a call to book your trip. The flight is 30 to 40 minutes through the Tongass National Forest and along Behm Canal and Ernest Sound. On a clear day you will see majestic mountains in the distance, virgin forest, islands dense with greenery, muskeg (bogs), and lots of lakes and water. The plane lands at Anan Bay and while we taxi to the beach you will see eagles in the trees (one time I counted 230), and fish & seals in the water. As you get off the floatplane, you will be met by a Forest Service Ranger who briefs you on what to expect on your hike to the viewing platform. The hike to the platform is about 20 minutes on a boardwalk and gravel/dirt trail. Along the way you will be surrounded by old growth forest and a fresh water stream packed with salmon going upstream to spawn! Truly the wilds of Southeast Alaska! At the platform there is another Ranger who supervises the platform and a photo blind. You will be able to spend 2 to 2.5 hours at the observatory, depending on your transit time on the trail and actual flight time to Anan. When you go on this adventure you should wear sturdy boots or shoes and bring rain gear. After all, this is a rainforest. A camera with lots of memory is a must. Please turn off the camera's flash so as not to startle the bears. You may not take any food or drinks on the trail except water. And lastly, prepare yourself for a fun and wondrous experience in a true Alaskan wilderness. Before you come please familiarize yourself with the US Forest Service's guidelines for safely viewing bears. The entire adventure is about 5 hours, this may be amended by special arrangement.  You may also want to add on a flight through the Misty Fjords National Monument (weather permitting) for an additional $120.00 per person and adds approximately one half hour to the tour.